Two writ petitions have been filed in the Court of Appeal, challenging the recommendations made by Presidential Commission (PRECIFAC) that was appointed by the President to investigate large-scale fraud, corruption and misuse of public funds. These petitions were filed by two former officials of the Disaster Management Center (DMC) seeking a writ order to quash the recommendations made by PRECIFAC dated November 27, 2017. 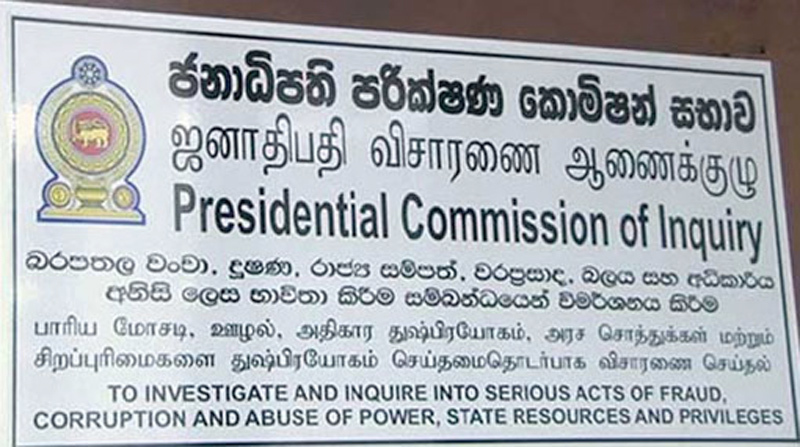 The PRECIFAC inquiry had recommended to institute legal action against former Disaster Management Center (DMC) Director General Leonard Ravindra and its deputy manager Hiripitiyage Nishantha under the Bribery Act for allegedly misusing state funds under the guise of renovating 77 tsunami and multi-hazard early warning towers. The two petitioners Leonard Ravindra and Hiripitiyage Nishantha had named Presiding Judge of PRECIFAC Justice Preethi Padman Surasena, other members of the Commission , Director General of the Bribery Commission and several others as respondents. The petitioners further sought an Interim Order staying Bribery Commission from taking any further steps against them under the Bribery Act.